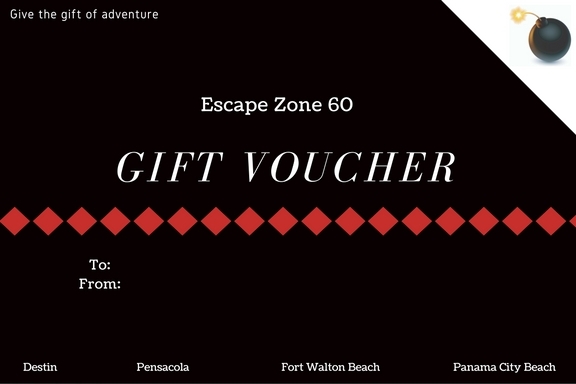 Gift vouchers for Escape Zone 60 are an original and exciting gift for any member of your family. What better way to show your love than to have your loved one locked in a room for at least 60 minutes. Gift vouchers are available for all our locations and rooms. Purchase from the comfort of your home and leave it up to the recipient to choose when to go. To purchase a voucher, choose from one of our locations below and click Buy Now.